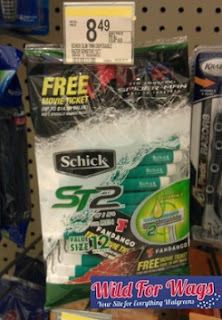 Get a FREE Movie Ticket wyb Schick Razors! Check out this great deal Wild for Wags found at her Walgreens! Total = $4.87 each + a FREE movie ticket!